Windswept and wild stretches of exposed, rugged coastlines are interspersed with mature forests of Western Red Cedar, Douglas Fir, Western Hemlock, and Sitka Spruce. Black bears, cougars, and wolves roam as eagles spread their wings and take flight. Lichens drape below tree branches and green moss springs beneath tall ferns. In the absence of everyday noise, the peaceful silence is interrupted only by the chirping of birds as rolling waves crash on the beach. Mist hangs in the air and shines like gold in the sun. Tucked in between the towering rainforest and the Salish Sea of the Pacific Ocean, the intertidal zone is teeming with life. Sea urchins, blue mussels, star fish, hermit crabs, and sea anemones populate the ridges of shale and quartz that run along the coast. The intertidal zone at low-tide is brimming with colorful seaweed: tufts of bright green sea lettuce sway in the current, and Iridaea floats to the water’s surface, collecting light in a rainbow of colors. Orcas, otters, sea lions, seals and humpback whales pass in the distant deeper waters. This is where our seaweed harvest takes place. Every decision we make is guided by our dedication and commitment to the health of our marine ecosystem, starting from the attentive seaweed harvest, picking by hand, one by one. 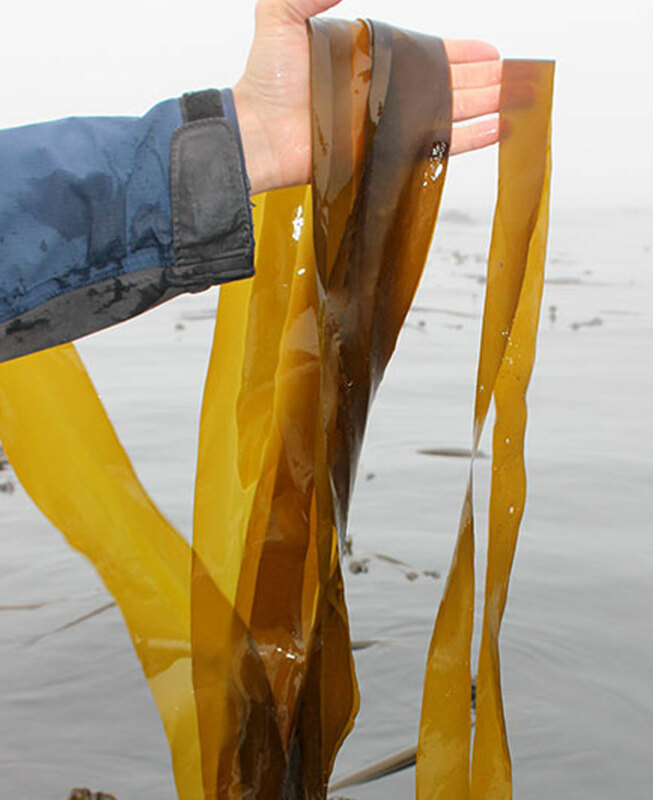 All seaweeds are skillfully hand harvested using a bare hand, a knife or a pair of scissors and the whole plant is never harvested. Think of it as a haircut for seaweed. Sustainable harvesting and environmental preservation is paramount to us at Seaflora. In one of the rare places on earth where the ocean is wild and the coastline untouched, sustainable harvesting and environmental preservation is our solemn commitment to the land and sea. Sustainable seaweed harvesting means the methods we use guarantee regrowth of these valuable ocean plants for generations to come. 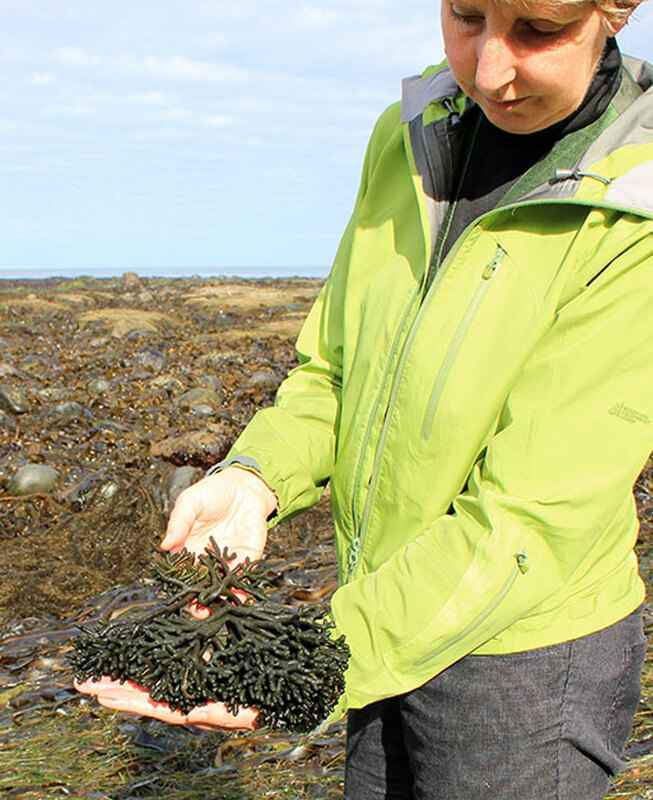 The seaweed harvest occurs near the end of the plants life cycle, allowing the opportunity to reproduce itself. Seaflora customizes harvesting techniques for each plant species in order to leave the reproductive portion intact. Each year, our seaweeds and ocean water are scientifically tested to enforce the strictest standards and ensure that Seaflora continues to be the world leader in the creation of pure, organic seaweed based skincare.